Fantine struggled in Ashcom’s arms as he pressed his mouth to hers, but to no avail. Her strength pitted against his was but a sigh to a powerful gale. Then even against her will she felt her treacherous lips responding hungrily to his bruising lips that tasted of recently sipped coffee and felt a rush of passion course madly through her limbs as he parted her lips forcibly and thrust his tongue into her mouth. A thrilling rush of sensation shot out throughout her body, making her listless. For a while he kissed her, hard and with a desperate hunger answered in measure by Fantine. He tasted the chocolate in her mouth and inhaled the sweet light scent he had chosen for her. He felt a tremor shoot out in sparks throughout his body and a strong response in his loins. Hating his reaction to her and his weakening resolve, he let go of her suddenly and still holding her by her shoulders looked angrily into her eyes. "Have you ever been kissed by a moneyed title, Miss Delmere? Well now you have." And with that he turned on his heel and strode out of the breakfast room. From that day forth I would make up stories to tell my brothers and my sister. Later on I started to put the stories down on paper. Then among the many novels I read I started one day to read “Rebecca” by Daphne Du Maurier. That first line in the novel: “Last night I dreamt I went to Manderley again…” was the spark that drew me toward serious writing, first the gothic novels popular at the time and then when I searched for more romance than mystery, to the novels of Jane Austen and Georgette Heyer. 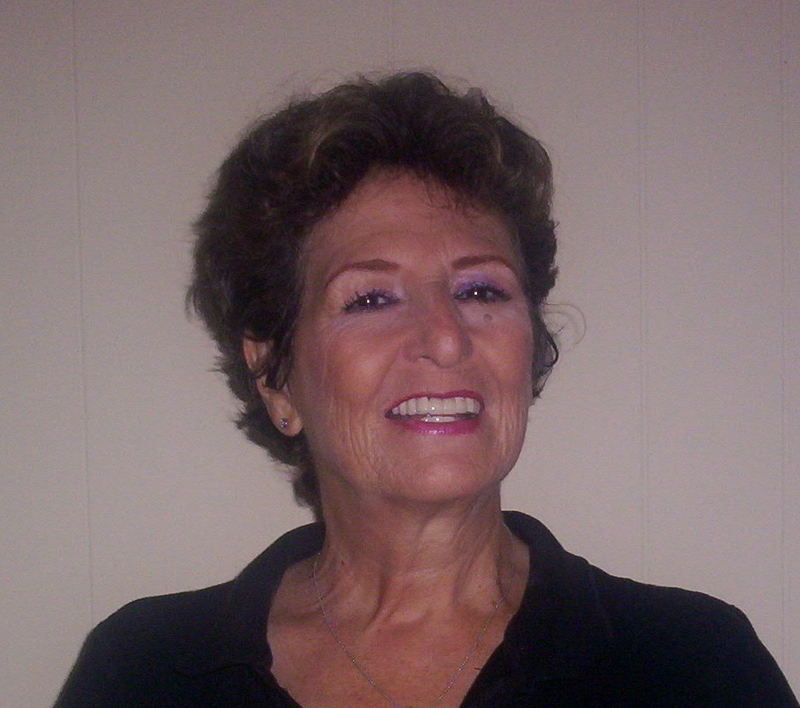 Regency romance became my genre and I self-published four, then two more with a traditional publisher, Boroughs Publishing Group, and two with Amazon’s Kindle Direct. 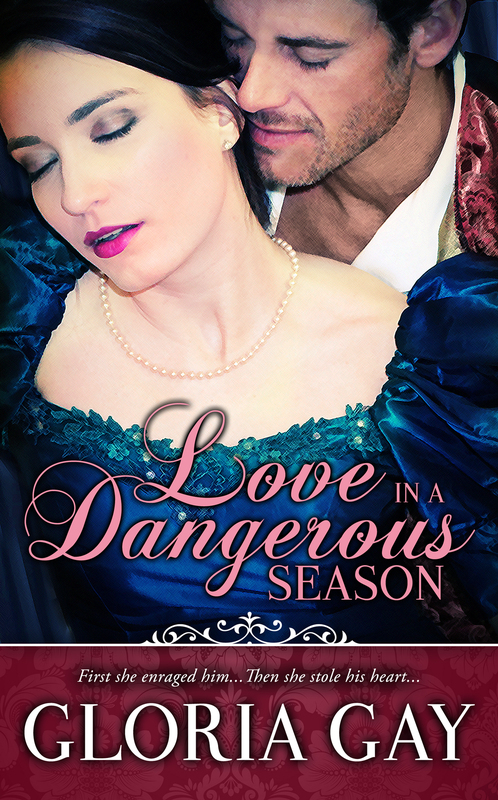 And although I will probably always write Regencies, I am also branching out to romantic suspense and will soon be publishing two of those and, hopefully, re-write the first gothic novel I wrote and abandoned many years ago. 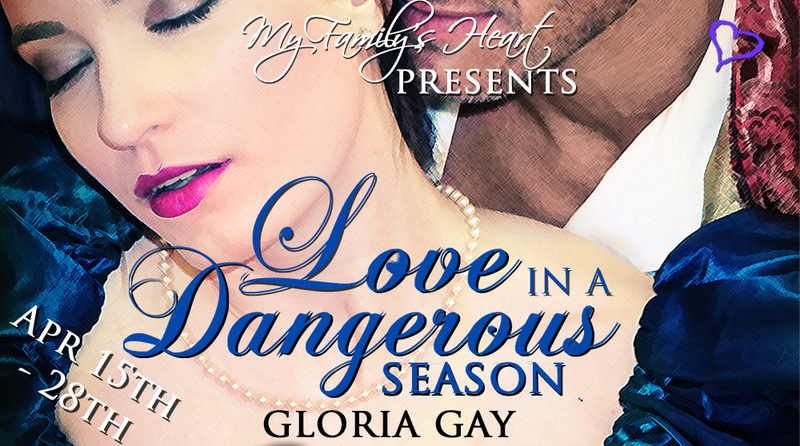 Thank you so much for hosting me and my book, Love In A Dangerous Season. I really appreciate it and I think your site looks wonderful! You are very welcome, Gloria. And best of luck with your book!